July 14, 2010 - Raleigh, NC - All Electric Scooters, an online retailer of mobility scooters and scooter lifts and accessories, announced the launch of a new section of their website dedicated to providing customers with information about their product lines. The Electric Scooter Buyer's Guides cover topics such as matching a scooter model to the individual needs of a customer, understanding the terminology used in owner's manuals and product specs, and discovering the many optional features and accessories available to enhance the use of a mobility scooter. The project has been in development for several weeks, and All Electric Scooters' content management team has been hard at work poring over owner's manuals and other industry texts, compiling information about the electric scooters in their catalogue in an effort to create a complete informational resource. Although All Electric Scooters has always offered owners' manuals for each of their products in digital format whenever possible, the new buyer's guides are designed to help laypersons understand the technical jargon that often stymies readers of owner's manuals. "When we began constructing this guide, my direction to our copy writers was that if we have difficulty understanding the purpose of a named part or component, then our customers might not know what it does either, and those are the things we need to clarify in the guides," said James Burrow, Director of Marketing for All Electric Scooters. "Consumers are constantly reaching out to new sources of information online, and we'd like for this website to be a one-stop hub for shoppers. If they see a scooter model that catches their eye, we want them to be able to discover as much as possible about that scooter before they buy it so that they're satisfied with their purchase decision when it's delivered to their door." 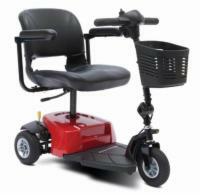 All Electric Scooters has been a leading provider of mobility solutions for seniors and the disabled since 2000. Their continuing mission is to provide their customer base with devices that will help them live a life without boundaries. 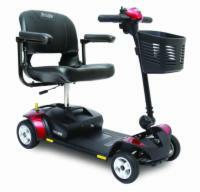 To read the new Electric Scooter Buyer's Guides, please click here.